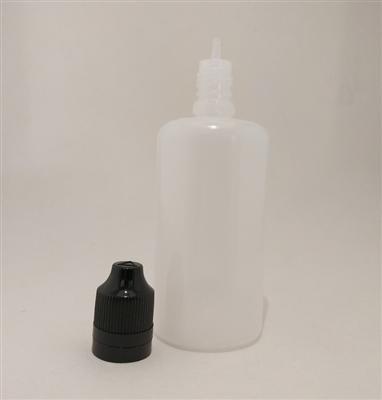 100 ML LDPE Dropper Bottle with black child proof & tamper evident cap. Works well. However one of the caps didnt seem to work well. No big deal as I had a few extras on hand.